Wholly Crafts! 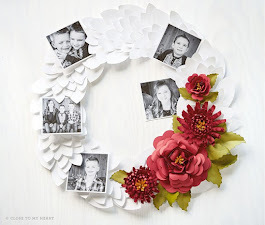 : CTMH New Product Blog Hop--It's Magnifique! CTMH New Product Blog Hop--It's Magnifique! 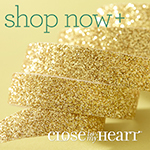 Welcome to our Close To My Heart New Product Blog Hop! More than 50 fabulous CTMH consultants are celebrating the upcoming release of the Autumn/Winter 2010 Idea Book by giving you a sneak peek of some of the great products available in the new Idea Book starting September 1st. If you have come here from Lori's blog, you are on the right path! You can also find a complete list of blog hop participants at http://www.tazzygirl2000.blogspot.com/. This is simple to do--just click on the link at the end of the post on each blog to move to the next one. Here we go! I made this card using the new CTMH paper pack Magnifique and the new stamp set Circle of Love. 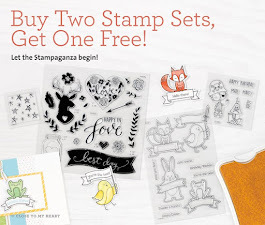 I am IN LOVE with this paper and the peacock stamp--aren't they gorgeous?!!! This card is based on the template "Puzzle Backdrop" on page 91 of Originals. I used some of our new ink colors--pear, lagoon, and pacifica--with lagoon, chocolate, and colonial white cardstock. I also used a new favorite embellishment**Sparkles** in blue and green. Love my bling! 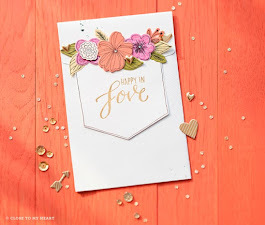 If you would like to learn the technique to make this card as well as six more cards OR a scrapbook layout, check out my Events Calendar Here for my September workshops. Now hop on over to Jean's blog to see her amazing artwork! Be sure to visit all the consultants' blogs to get some great crafting ideas for all of the fabulous new products in the new Autumn/Winter 2010 Idea Book! And remember it goes LIVE on September 1st! And, hey--leave me a comment and let me know what you think of my peacock card! GORGEOUS! I too used this amazing peacock for my spot on this hop. Your patience in cutting it out is amazing. Very nice. Your peacock is beautiful. LOVE it!! That peacock is gorgeous and I love all the new colours too. C'est tres magnafique! This peacock is my favorite new stamp image! Beautiful! Lovely card....I haven't tried that image yet and your work makes me want to try it right away. Great project! September SOTM Blog Hop--It's a Thriller! 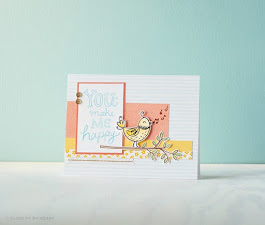 CTMH Spotlight Blog Hop--Background Stamping!